It’s that time of the year again when everyone in India — from the common man to the industrialist — waits with certain hopes and some deal of anxiety for the Union Budget to unfold. While this year’s budget was centred on agriculture, it has some pretty good news for the real estate sector. In Bengal, the real estate sector, in fact, got a triple bonanza this year, two from central, and one from the state government. Here’s how things are shaping up for affordable housing in Kolkata. It was announced, in line with the union government’s “Housing for all by 2022”, that the Centre will create a dedicated fund in the National Housing Bank to promote the growth of affordable housing. According to the Union Minister, this fund will be used for developing road, rail, and air connectivity in rural, semi-urban, and urban areas, which is expected to give a major boost to the real estate sector. The proposed allocation of Rs. 14.34 lakh crore for infrastructure improvements, with a clear emphasis on connectivity upgrades, will allow easy access to capital for significant expansions like Metro, highway construction, and inner-city rail networks that would eventually beef up affordable housing developments. The allocated fund, as believed by many industry analysts, is likely to strengthen the affordable housing sector and drive the demand from end-users as well, since real estate usually develops in and around well-connected areas that have solid infrastructural facilities. Finally, the Goods and Services Tax council has given a segment of home buyers something to cheer about. 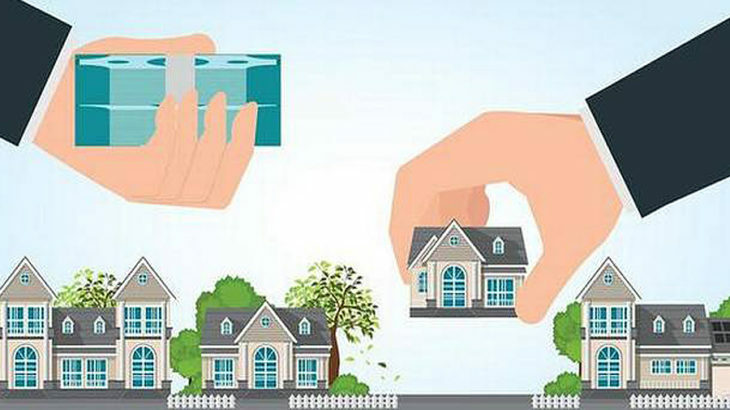 As per the new recommendations proposed by the GST Council, home buyers availing the credit-linked subsidy scheme (CLSS) under ‘Pradhan Mantri Awas Yojana’ will from now on get a relief of 4 percent in the Goods and Services Tax. The reduced rate of 8 percent, as compared to the existing 12 percent, will be applicable for all new and under-construction homes that are purchased under the credit-linked subsidy scheme. Under the new scheme, home buyers with a household income of up to Rs. 18 lakh per annum, purchasing an apartment or a house of up to 150 square meters, will be eligible for the 4 percent cut in GST. This cut, is, however, applicable only for first-time home buyers who are eligible for the credit-linked subsidy scheme. People who are purchasing a second home, or those not entitled to the credit-linked subsidy scheme, will have to pay the higher GST slab of 12 percent. As 150 square meters, which is around 1,615 sq ft carpet area, will cover most three-bedroom houses and apartments in the city and the country, the cut in GST will be a major relief for a large number of home buyers as well as for the affordable housing sector. The West Bengal government, in its budget 2018, has proposed a reduction of 1 percent on stamp duty for all property deals valued up to Rs 1 crore. Once the budget proposal is passed in the next assembly session, property deals of up to Rs 1 crore will attract a stamp duty of 6 percent in urban clusters, and 5 percent in rural areas, instead of the existing 7 percent and 6 percent respectively. The relevant stamp duty, both in urban and rural areas, will be decided on the total property value estimated by a government registrar. For example, even if the property sale deed indicates a price below Rs 1 crore in an urban area, but the registrar values it above that amount, the higher 7 percent stamp duty charges will be applicable. The budget proposal reflects the ground reality, as close to 80 percent of all housing units sold in Kolkata is less than Rs 1 crore, said Mr. Nandu Belani, president of the Bengal chapter of real estate body, CREDAI as per a Telegraph report. Thus, the reduction in stamp duty will benefit a vast majority of home buyers, Belani added. The triple bonanza will certainly benefit the middle and upper-middle-class home buyer segment, and also the housing construction sector as a whole, which has been reeling under the impacts of demonetization and GST for some time now. If these policies are executed then definitely there will be a boom in kolkata’s real estate market.